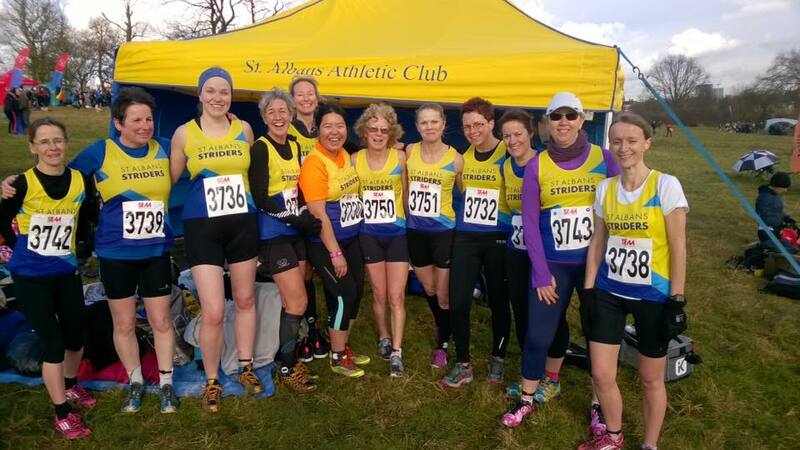 Keen to hit the mud this year and represent Striders at a cross country fixture but not sure how and when to get involved? Get your trail shoes and spikes ready for the return of cross country season! 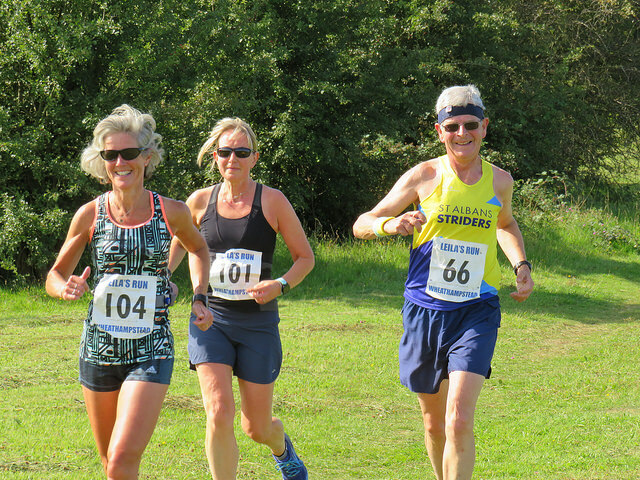 The races are open to all members of the club - whatever your speed - but you must be EA registered in order to compete in the Chiltern League, Southern and National Championships (including relays). So if you haven't already paid for EA membership and want to join in, now's the time to do it ahead of the first races in October. You must also wear a club vest in all races, and trail shoes or spikes are advised for the muddier courses. 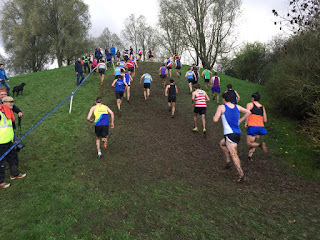 Cross country running can be great fun with hills, mud and even water obstacles to contend with, making it much more interesting than your average road race. The undulating and uneven terrain will make you a stronger and fitter runner, while taking part will allow you to meet more of your fellow Striders and replicate the team spirit of the summer's MWL. Not only that, you get FREE entry into all these races as part of your Striders membership. Comprises clubs from Herts, Beds and Bucks. Men and women race separately - approx 6k for women and 8k for men. There’s also junior races earlier in the day where St Albans AC athletes compete for Striders. The scores from all races are all combined to reach our league position so it's a big team effort from young to old(er)! There's a misconception that this league is only for speedier members but all abilities can, and do, take part! We welcome runners of all paces and your contribution could make all the difference to the team score. What to do: You must be EA registered to take part. We need to declare with the organisers who will be running the night before each race. We’ll send an email and post on Facebook the week before each race so please let us know then if you intend to run. On the day, collect a number from the captains. As with the MWL, you must keep this number for the whole league. This is a slightly lower key league than the Chiltern so it's a good introduction if you have never done cross country before. Once again it is open to all abilities. Clubs from the local area take part with men and women competing in the same race which is approx 5-6 miles. If you take part in four or more races you will be in with a chance of winning an individual age group prize at the end of the league. Individual trophies are awarded as follows: Senior Men, M40, and M50 - first five places. M60 - first three, M70 - winner. Senior Women, W35, and W45 - first five places. 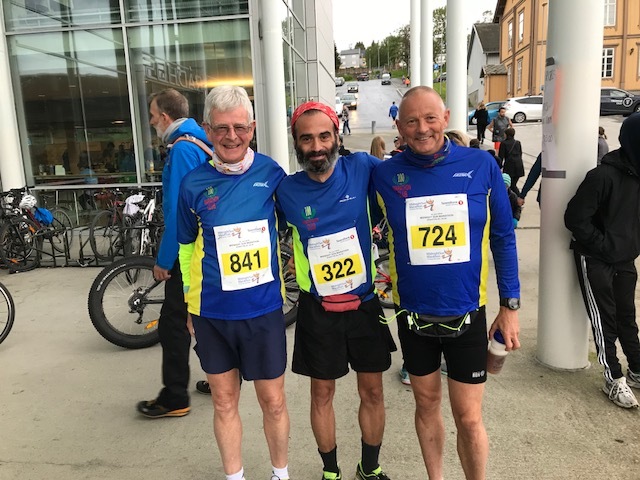 W55 – first three, W65 – winner. What to do: We’ll advertise further details for each race in advance. You don’t need to wear a number so just turn up and run. At the finish, you’ll be given a ticket with your finishing position on which should be handed to the captains so they can record the results. Individual and team county medals up for grabs here and the chance to qualify to represent Herts in future races. Approx 8k for women and 12k for men. When and where: Sunday, 6 January, Verulamium Park, St Albans - we are hosting so please consider volunteering to help out if you can't run. Can we win the County Champs trophy this year? What to do: You must have been born in Herts or have been a resident in the county for at least nine months prior to the race to compete. Captains have to enter teams in advance so look out for details being sent/posted in order to sign up. On the day, collect your number from captains. Regional event made up of clubs from the south of England. Approx 8k for women and 15k for men. What to do: Open to all club members of all abilities but you must be EA registered and pre-entered by captains. Look out for posts/emails to sign up nearer the time. The event is chip-timed so you must collect your chip and number from captains on the day. A prestigious and historic event made up of clubs across England. It's suitable for all abilities with elite athletes at the front and those who might have to walk sections at the back. Approx 8k for women and 12k for men. What to do: You must be EA registered and pre-entered by captains. The event is chip-timed so you must collect your chip and number from captains on the day. 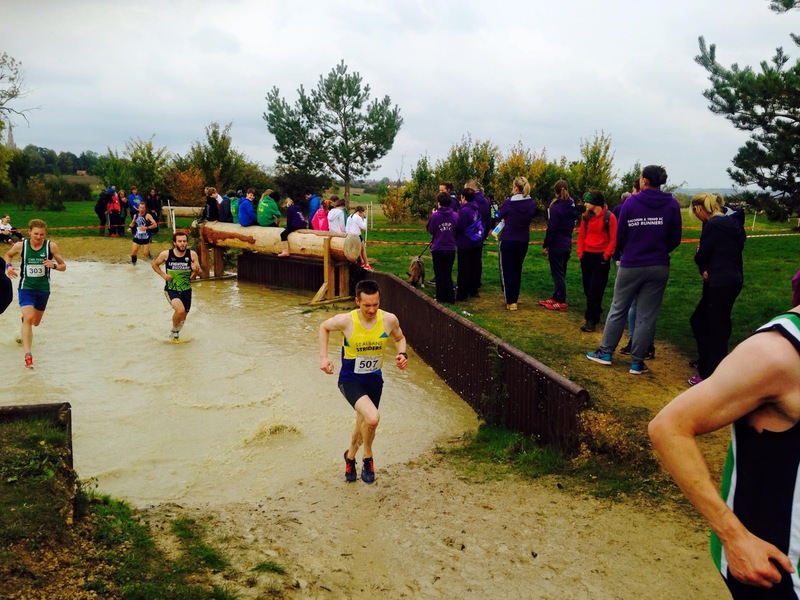 A chance for veteran athletes to compete for glory without any youngsters getting in the way! What do do: Women must be aged 40 plus to take part and will race 6k. 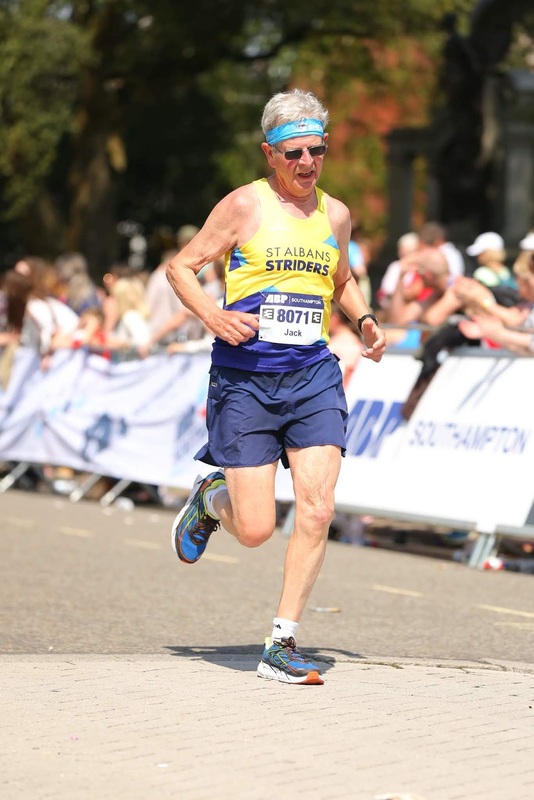 Men must also be aged 40 plus and will race 10k, with the exception of men over 70 who will run at the same time as the women. You must be EA registered. The captains will submit entries in advance so look out for details nearer the time. Another chance to gain an individual or team county medal, this time without having to compete with the younger generations! What to do: Open to anyone aged 35 plus who was born in Herts, or has been a resident in the county for at least nine months prior to the race. Captains have to enter teams in advance so look out for details beimg shared. On the day, collect your number from captains. Team event (women, 3 x 3k, Men, 4 x 5k) involving clubs from the South which is a low key, fun start to the cross country season. What to do: Open to all club members of all abilities but you must be EA registered and pre-entered by captains. Sign up now! What to do: Open to all club members of all abilities but you must be EA registered and pre-entered by captains. Look out for emails/Facebook posts in the near future. Both marathons started from Hoddesdon, Hertfordshire, but the Saturday route was completely different to the Sunday route. On the first day, a large section of the course followed waterways and established footpaths and the next day we spent more time going through fields and along country lanes. I really enjoyed both days and am certainly considering doing this again next year as it was such a friendly and welcoming event. My times were 5:16 on the Saturday and 5:54 on the Sunday. I flew to Aruba from Heathrow via Newark and met up with my friends from North Carolina at Aruba Airport. We then returned to the airport in the evening to pick up John and Charlene Lum Young who'd flown in from Trinidad and Tobago via Miami. We had a fairly quiet day on the Saturday collecting our race numbers from the race HQ hotel, visiting the Butterfly Farm and then eating. The marathon started at 3.30am on the Sunday (at which time there were already very strong winds and the temperature was 27 degrees) so we left our hotel around 2.40am and headed for the start. This being the inaugural Aruba Marathon there were plenty of people I knew milling around the start line including Dave and Linda Major and Dan Micola from the UK and Brent Weigner, who I’d stayed with when I ran the Wyoming Marathon. The course comprised two laps and for the first eight miles or so there was reasonable street lighting. However, after that there was a stretch of around four miles without any. For the most part the road surface on the unlit area was pretty good, but it became more questionable on the half mile uphill stretch to the turnaround point by the California lighthouse where there were a few trip hazards. It is probably as well that it was dark the first time around as on the second lap there was a dead snake in the middle of the road, which was around 3ft long (a constrictor apparently). I definitely wouldn’t have welcomed an encounter with any of its living relatives! By the time I set off on the second lap it was starting to get light and the temperature was climbing. The heat was certainly affecting me as I ran the second lap around 37 minutes slower than the first lap so I was pleased with my time of 4:52:53. I’d been anticipating for most of the second half that my finish time could be over 5 hours. The First Aid lady at the finish insisted on dousing me with cold water to cool me down. Monday came around too quickly and the only consolation on the flight back was that United Airlines bumped me up from Economy Plus to Business Class for the flight to Newark. I entered this event out of curiosity and ended up thoroughly enjoying it. The course was an off-road, undulating one and comprised 5K laps. The main start was at 10am, but the format was such that anyone (including young children) could start when they wanted and complete as many laps as they wished before the event closed at 6pm. For those not taking the event too seriously there were all sorts of obstacle options around the route (water slides, an obstacle challenge, inflatable obstacles, a climbing wall etc) and inevitably the course was most crowded on the first lap. This did mean that most of the nettles and high grass were flattened by the time I reached them. 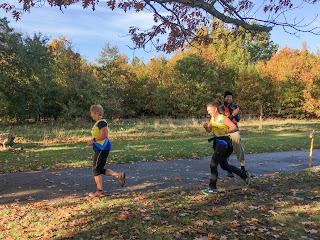 There was a special baggage area just by the start/finish area for all those taking part in the 50K challenge and we all were issued with yellow running vests so we knew who we were competing against. One of the best features of the event was seeing how many families and kids were taking part and seeing how much they were all enjoying themselves. Whilst the marathon distance wasn’t marked I reckoned that I went through 26.2 miles in around 5:03:00. My chip time for 50K was 6:16:39 and I was 2nd in the male over 55 age group. Given the difficulty of the course I thought that was okay. While I was at a reunion drink with friends who I worked with in the GLC (Greater London Council) in 1980 one of them, Jon Elliott, suggested that we should both run the Midnight Sun Marathon. About 16 months later I found myself flying into Tromso to meet up with Jon and his wife, Carol. It is certainly strange to be in a place where it never gets dark and to be in bright sunshine at 11.30pm. Unfortunately the weather didn’t hold for the day of the marathon. In the morning the wind was 49 miles per hour, but by the 8.30pm race start it had dropped to what was still a very fierce 21 miles per hour. There was very little shelter and runners were particularly exposed to the elements when running over the bridge (twice) and in the second half where we ran out and back alongside the sea. I was wearing two T-shirts, gloves and a buff and was still cold at times. Having said that I finished in 4:27:46, which was well within my expectations. Jon, who has run under 3 hours in the past, was injured and dropped down to do the half, but was happy with his run. There were plenty of others from the UK there. On the first day we met up with a Greek friend of mine called Costas and on the Friday Yin-Hai Cheung and her brother, Fu called in to our hotel to make contact. We managed to fit a lot into our 3.5 days there and really enjoyed the Polaria Museum, the Polar Museum and the Science Centre and Planetarium. Needless to say we found everything expensive. For example beer cost anything between £7 and £12 per pint. Nevertheless we managed some decent post-race celebrations on the Sunday before catching an early flight home on the Monday morning. This year the event started from Buntingford and the route comprised a pleasant circuit passing through the picturesque Hertfordshire villages of Aspenden, Wood End, Ardeley, Walkern, Hall’s Green, Weston, Redhill and Throcking. I ran round with Adam Mellor and Paul Barton (a friend from the 100 Marathon Club). The temperature for most of the race was around 26 degrees so we settled on a very steady pace and took on plenty of liquid and food at each checkpoint. This was definitely a day for admiring the British countryside in pleasant company. We finished in 6:26:00. I had done training runs around Ladybower Reservoir many years ago so I was intrigued enough to enter this race when it came to my notice. The description said “in the idyllic beauty spot of the Peak District National Park, the course is surrounded by the elevated fells set within the Derwent Valley”. However, they warned that they had thrown in a serious climb, which took us high up onto the Derwent Edges. The ascent wasn’t easy and the descent was downright treacherous. It was another very hot day, but fortunately there was a slight breeze, which helped no end. I finished in 5:13:07 and thoroughly enjoyed the route as well as meeting up with a number of friends from “up North” who I don’t see often enough. A statistic that is probably only of interest to me is that this was the 150th different UK marathon that I’ve run. 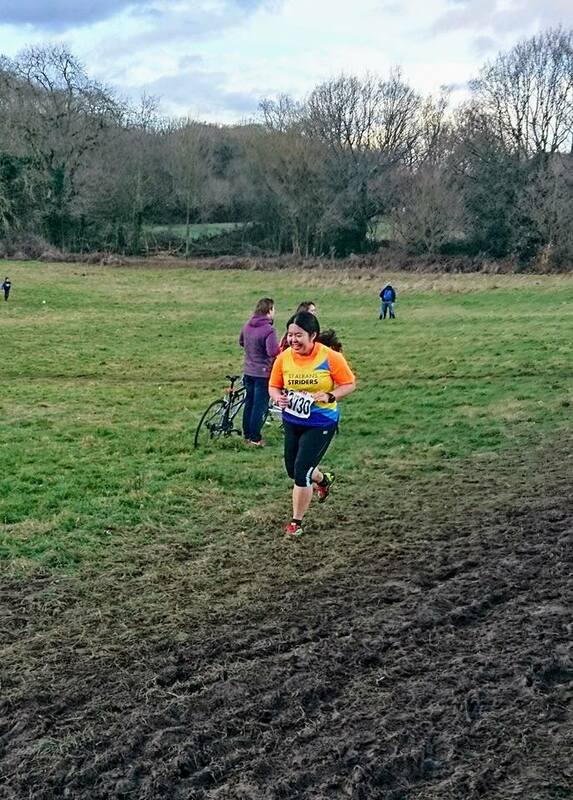 This was a two lap out and back marathon following tough trails between Reigate Hill and Boxhill. There were some precipitous climbs and descents and plenty of roots and rocks to contend with. I managed the first 20 miles without falling, but when my foot did catch a root I went down hard. There was plenty of blood as well as bruised ribs for me, but the medics at the finish confirmed that plenty of others had also taken a tumble so I was in good company. It was a beautiful course and the route was well signposted, but it was brutally hot all day and the multiple trip hazards to contend with made this a very tough event. The cut-off time at half way was 3:30 and plenty of runners didn’t make that. I was 65th out of 83 finishers and my time was 6:24:49. To reach the location of this marathon is an adventure in itself. I stayed at Arctic Watch Lodge where there is a gravel airstrip constructed on a river bed with a bulldozer that was driven across the sea when the sea was frozen over. Pilots have to land by sight and our flight out was delayed a day because of poor visibility. I stayed in a small hut adjacent to the Lodge, which had heating of sorts a couple of hours each day. I was fine with that as I knew conditions would be fairly spartan this far North. As some runners had cancelled and the Lodge can only accommodate around 25 people there were only four of us running the marathon. We were driven to the start on ATVs and ominously began the race by a pile of bones. The first 16ks alongside the Northwest Passage were the hardest as we were running directly into a headwind and also into driving snow and sleet. I was wearing a hat, four top layers, running tights and over-trousers, thick windproof gloves, two pairs of socks and trail shoes and I still couldn’t get warm. The aim was for each runner to be followed by an ATV manned by someone with a gun as musk ox, polar bears and wolves are sometimes found in these locations. Unfortunately, Vicky, my own personal girl with a gun, was on an ATV which broke down at 16k and I was then on my own apart from seeing ATVs briefly at around 30k and 36k. I surmised that the most likely place to see bears was in the first 16k as there was a large ice ridge in the sea to our right as well as ice floes and small icebergs so at least Vicky got me past the worst danger area. The route was marked by small red flags, but in some places the wind had been so strong that it had literally shredded the flag material and there was an element of guesswork involved in finding the correct route. I’d often head in the wrong direction for a few yards before spotting a flag and then have to adjust my route or backtrack, especially after I lost Vicky. For almost the whole route the running surface comprised loose rocks and shale or soft mud and I gave up counting how many streams I’d waded through after about 40. I was extremely relieved to cross the finish line in a time of 6:43:00. This race was the last one I needed to complete in order to be the first person from the UK to complete a marathon in all 50 US States plus DC and all 13 Provinces and Territories in Canada. There were around 300 Beluga whales in the bay by the Lodge while we were there and mothers and calves in particular would regularly come within 30 feet of the shore as they played in the water. I have never seen so many whales that close to me. The guides at the Lodge also organised some great hikes, although at all times we had to be accompanied by someone with a gun. Leaving the Lodge was an adventure in itself. On the day we were meant to leave visibility was too poor all day for a plane to land. The day after that the plane took off from Yellowknife and actually flew over us as we stood by the runway, but it couldn’t land because the pilot couldn’t see the airstrip and so it headed back on the 3.5 hour return trip to Yellowknife. The next day visibility was still not brilliant and so they decided to fly us 100 miles North to an airstrip in Resolute in two shifts using a twin otter plane (which could fly lower so the pilot could see the runway). The plane from Yellowknife took off in the morning, but had to turn back because of mechanical difficulties. It eventually reached us in Resolute, where they had proper airstrip facilities, late on the Thursday evening and we finally made it back to Yellowknife at 3am on Friday 27th July. Having run marathons in Lanzarote and Gran Canaria I knew that it would be warm in Tenerife, but I wasn’t expecting 25 degrees throughout the race. I don’t run well in the heat, but I knew that I could beat the halfway cut-off time of 2 hours 30 minutes and just hoped I’d then be able to hang on until the finish. There was absolutely no shade along the course and I suspect that the reason there were many non-starters was that some who had entered knew how warm it was going to be on the Sunday. The organisers also pulled quite a few people off the course because they didn’t achieve the cut-off time. I certainly struggled in the second half and finished eventually in 4:58:37. I was surprised to be advised that I was first in the male 65/69 age category, but subsequently discovered that only two of us had actually completed the race. This was the 2nd event I’ve run that has been organised by the wonderfully named and very friendly “It’s Grim up North” organisation. I stayed in Holmfirth on the Friday night with my friends Gary and Sandra Wade and then followed Sandra to the race start on the Saturday. It was brisk, but not freezing on race day. The race start is in the scenic grounds around the Abbey and the course comprised what they described as a challenging route on a mixture of road, track and field. Each of the three laps also contained a stretch of around 2.25 miles of canal towpath, which I certainly found to be the best running surface on the day (as well as being blissfully flat). Fortunately the route wasn’t that muddy and I had no trouble running in road shoes. I enjoyed running up North again and was very happy with my finish time of 4:56:45. This was the first UK race in 2017 where I’ve really felt the cold. I started with three top layers and two pairs of gloves and nothing got ditched. Ironically bright sunshine also prevailed through most of the race making it difficult in places to see where I was going. 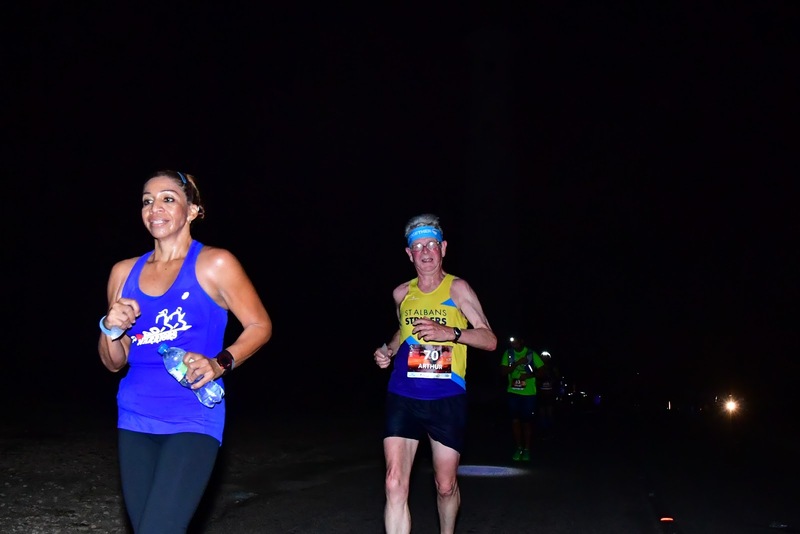 The race started with a circuit of the track at the Julie Rose Stadium and then comprised two undulating laps along footpaths and quiet country roads. There was only one really muddy section to be negotiated where the mud was substantially more than ankle deep and generally I found the route interesting and pretty. I finished in 4:45:43 and was 2nd out of five in the 60/69 age group. All in all this proved a pleasant, if chilly, day out. As there didn’t appear to be a marathon in Gibraltar, Jurgen Sinthofen of the Marathon Country Club decided to organise a one-off event in 2017. The course was unique in a number of ways as it would comprise an out and back 7km section in Gibraltar, mainly alongside the rock (including a section running across the airport landing strip and then passing through Gibraltar and Spanish border controls to show our passports etc) followed by a 2km stretch along the sea front in La Linea, Spain and then eight laps of just over 4km each. I flew into Gibraltar on the Thursday and met up with other early arrivals in La Linea for dinner. On the Friday I toured Gibraltar with Klaus, a Danish friend who I’d met earlier in the year at the Belarus marathon and Ken, a Japanese guy who had grown up in the USA and who now, by coincidence, teaches English in Belarus. At £25 the van tour around the rock was exceptional value as it incorporated view stops, a visit to the caves, meeting the monkeys and viewing the old Moorish fort. Later that day Jon Carson from the UK and my friends, Rich and Jeanne Holmes from North Carolina arrived and around 40 of us went for a meal in an Italian restaurant. The race was on the Saturday and we were lucky that the weather was fine and there was very little wind. Time taken crossing through border controls was included in the race time so I was more than happy with my finish time of 4:22:42, which placed me 14th out of 40 and 1st vet 60/69. In the evening we all went for a meal and the medal presentations and then on the Sunday Rich, Jeanne and I hired a car and spent the day in Granada viewing the Alhambra grounds and palace, which were truly spectacular. Unfortunately I had to return to the British weather on the Monday. After searching around for a January Marathon I opted for a few days in the sun. I flew out to Phoenix on the Thursday and spent a couple of days exploring Downtown Phoenix as well as picking up my race number. I particularly enjoyed the Wells Fargo and police museums and the Science and Heritage Centres. I was pleasantly surprised to discover that the marathon and the half were run over different courses so the mad congestion I’d anticipated at the start of the marathon never materialised. I was reasonably comfortable up to half way, but after that I wilted a bit in the heat and finished in 4:42:57. All I then had to do was ascertain where to get the light railway back to the start and my hotel. This 21 lap marathon was organised by the 100 club and Sikhs in the City. The route comprised 21 laps each comprising about 200 metres of level ground with the remainder being either uphill or downhill. The temperature was zero at the start and there was a cold headwind so I never really got warm throughout the event (even wearing two pairs of gloves). However, the good news was that I had no problem with the foot injury that had been plaguing me for the previous three weeks and was able to finish in 4:51:07. Normally I find races with short laps quite boring, but because there were so many people I knew taking part I actually quite enjoyed the course, although my 21st ascent of the long hill wasn’t met with unbridled enthusiasm. A number of famous poets (including Rupert Brooke, Robert Frost and Edward Thomas) settled around Dymock briefly just before the First World War and this marathon is held partly to commemorate the fact. The route is a clover leaf shape with each loop returning to the race HQ. Those who ran it in 2017 advised that the weather had been glorious then. 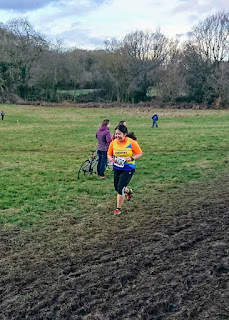 However, after weeks of snow and incessant rain the ground was sodden and this proved to be the muddiest race that I can recall. The course was marked in places, but a group of us still managed to take one wrong turn adding over half a mile to our run. The organisers changed the course this year so that the race started in Ibiza town and finished in Santa Eularia. Given how beautiful the island is I was surprised to see how few UK runners were there out of the 466 who completed the marathon. It was very warm at the start and after the first relatively flat 5k we were faced with a succession of uphill climbs of varying difficulty until we reached around 28k. After this there were some decent downhill stretches, but by that time my legs were shot and I wasn’t able to take as much advantage of these descents as I’d have liked to. By the time I finished in 4:39:16 it was starting to get dark and I was very tired. However, I must congratulate the authorities for their faultless organisation. I travelled down to Southampton by train on the Saturday and met up with Stephen Elkan and Caroline Bailes. In the afternoon we wandered down to the Itchen Bridge in the knowledge that we’d have to run over it four times the next day. It looked somewhat daunting. As forecast, it was very hot on the Sunday and an unexpected blow was that we soon discovered that they’d changed the course from the previous year and added more hills. On the plus side the race was well organised and we ran through some beautiful parks. I struggled in the heat, especially in the second half and finished in 4:39:49. This was my 450th marathon/ultra and it certainly took a lot out of me. The weather could not have been more different for this race to that of the previous week. It was freezing in Newport on the Sunday morning and there was a biting wind. I was mightily relieved that I’d purchased a throwaway sweatshirt for £1 in a charity shop the day before, especially as the race start was delayed for half an hour. However, once the race got going the conditions were ideal for running. For this inaugural marathon the support out on the course was terrific especially in the town of Magor. The route took us out of Newport and into the countryside almost immediately and this proved to be a flat and fast course. I think that the organisers were slightly overwhelmed by the number of people who’d entered (3,394 finishers in the marathon), but I’m sure that they’ll have sorted out any teething problems by next year and for anyone wanting a fast course away from the big city marathon crowds I strongly recommend this event. I was happy with my time of 4:19:36, which was my fastest time over the last 12 months. 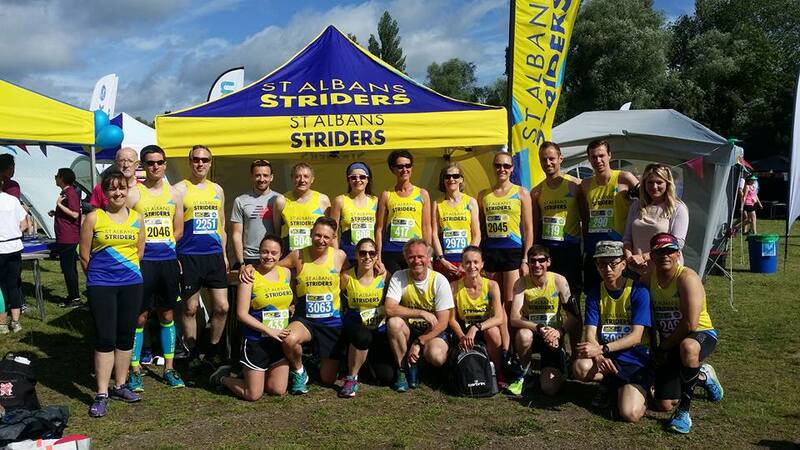 As another year draws to a close, it’s time to reflect on how it's been another successful one for St Albans Striders! 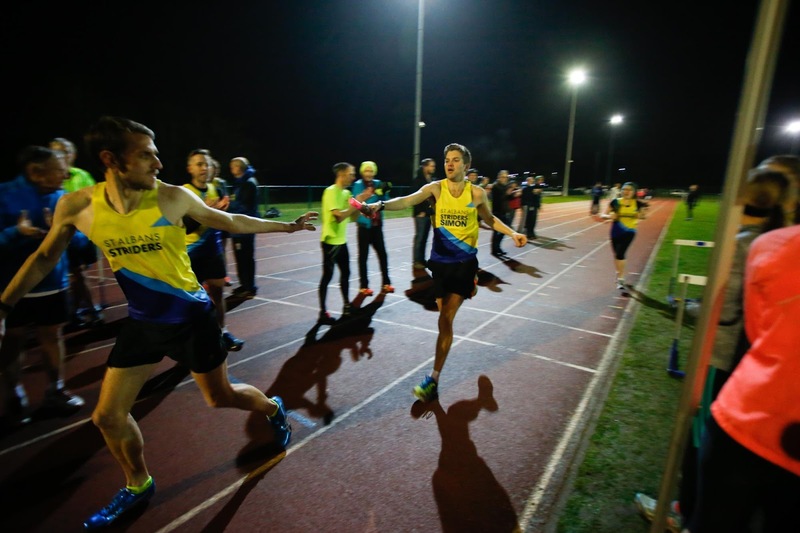 We’ve welcomed new members, hosted races with rave reviews and even beat Nike to a World Record! 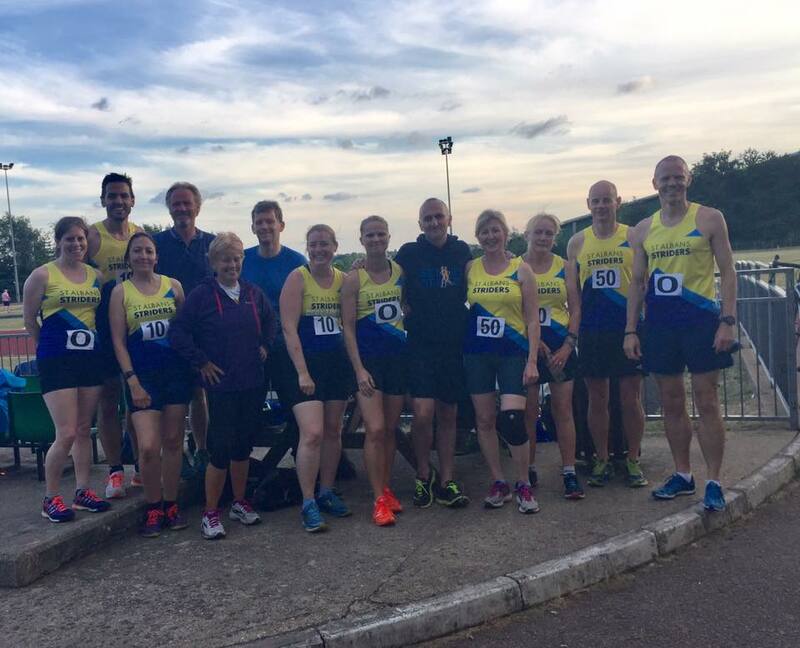 This year we had some closer competition than we’ve become used to in the Mid Week League, in the form of Orion Harriers, but in the end we triumphed to retain our title as overall winners of Division 1. Individually Blake Vivian finished 1st for the men, Helen Cartlidge was 1st V35, Liz Walls 1st V55, and Graham Foster was 3rd Vet 50. In the Chiltern League we haven’t done as well as recent years and had a lower attendance than in other years: an average of 8 women and 17 men at each fixture, compared to 14 women and 19 men the year before. However, the overall position of St Albans for all age groups in combination with the Athletics Club was 4th reflecting a superb cross country season for the AC. It was a better story in the Sunday League, as we improved on last year’s results. Paul Adams was 1st in the Senior Men category, Wendy Walsh 1st V45, Deirdre Heydecker 2nd V55 and Graham Foster was 3rd V50. 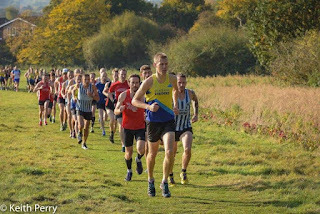 On the track we were very pleased to be able to help the Athletics Club take the top spot in the SAL League Division 3 North out of 24 teams. We also had some good results in the Masters League, where numerous new club records were set. 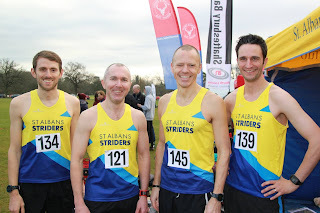 Striders men won the Herts Cross Country Championships for the second year running. · Fairlands Valley 3k Relays - we had a large contingent and dominated the medals. 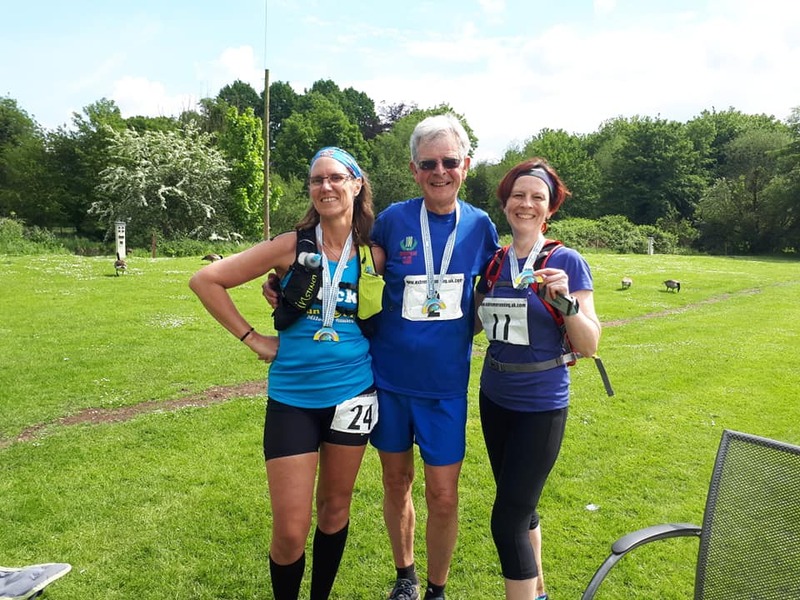 We did well at our own Fred Hughes race – with Tom Crouch 2nd and Steve Buckle 3rd overall - Pete Crowdell, Anna Ward and Penny Habbick took individual county medals and we won 1st women’s vets county team. 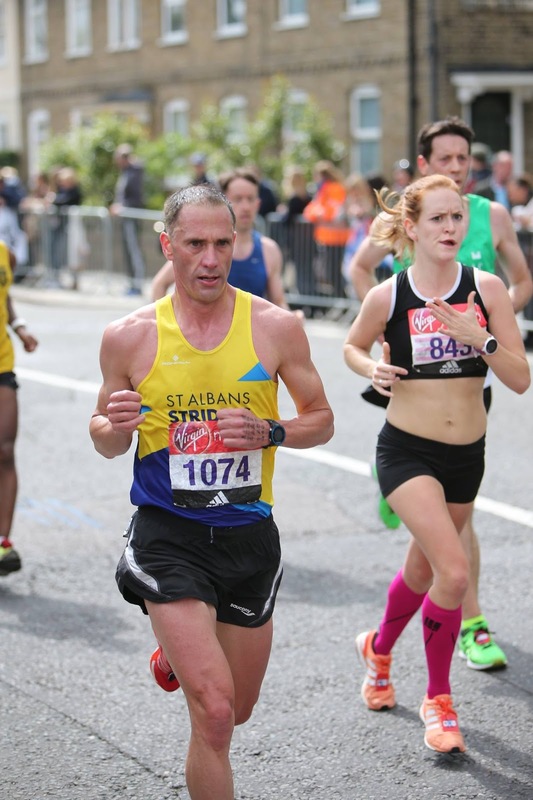 At the St Albans HM – Tom Crouch and Paul Adams came 1st and 2nd overall. 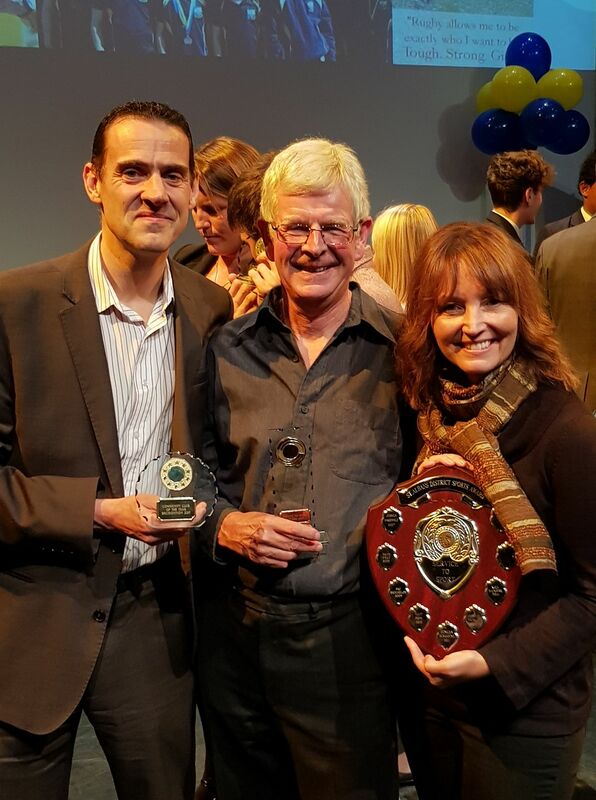 Anna Ward, Deirdre, Jonathan Scott and Colin Singleton were all top 3 in their age categories. At the London Marathon - Martin Whitworth was the fastest male Strider and set a new V40 club record. Anna Ward was the first woman, and both Jenny Maddocks and Charlotte Teare ran under 3:15. Steve Buckle, Joe Dunn, Simon Fraser, Tim Searle – won the team of four prize in the St Albans Stampede. Laura Hicks (second claim) was 1st Female Solo and 2nd overall, Clair Drage was 2nd Female Solo and Alison Campbell 3rd. 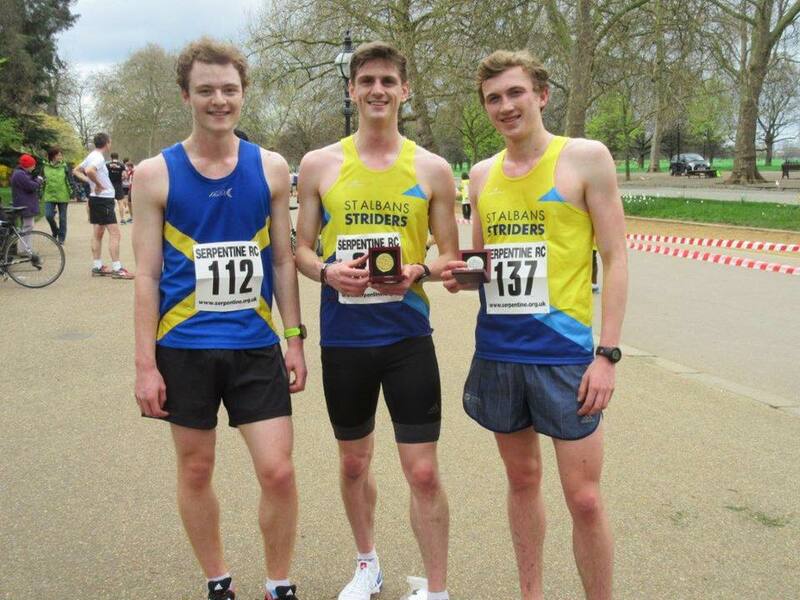 Blake Vivian won the London Winter Run 10k in a field of 17,000 runners. And more recently Deirdre Heydecker ran on the England Masters team coming 2nd V60 in the Chester Marathon. A good number of club records have been set this year both on the road and the track. 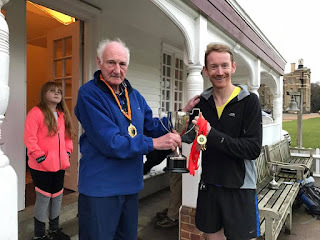 James McMurray has been chewing up the men’s senior club records, this year setting staggering times of 14:48 for 5k and 30:31 for 10k beating his own record of last year. 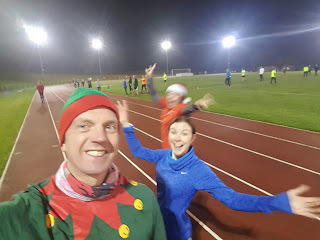 Deirdre Heydecker broke her own previous 20 mile club record with a time of 2.35.20 at Bramley (which also made her the fastest female V60 in the country at the time). Martin Whitworth’s 2:41:02 at the London Marathon was a V40 club record by three seconds, and Martin Halling knocked nine minutes off the V60 marathon record, a record which has stood for 13 years! Last month, Anna Ward set a new V35 5 mile record at Hatfield in a time of 30.38. 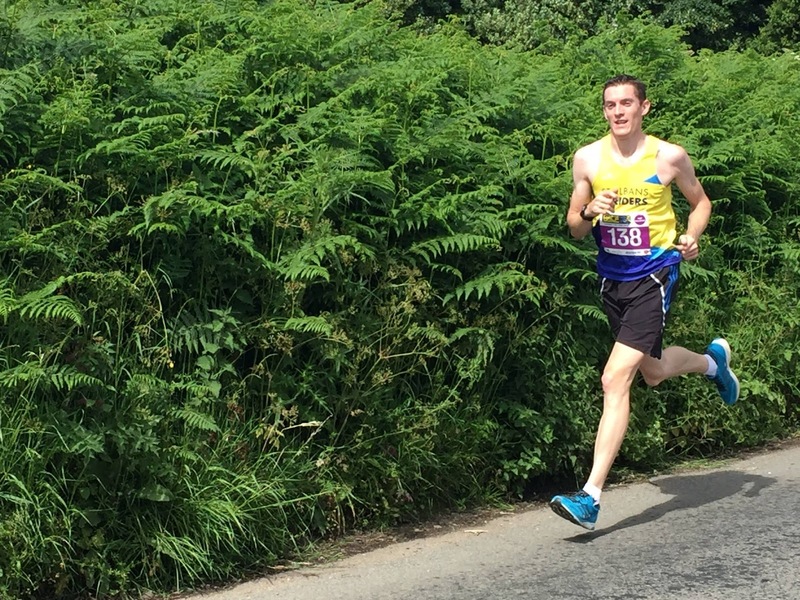 On the track, Tom Crouch had a fantastic season setting PBs in the UK over the summer before moving to Australia with his family where his good form has continued. Still competing in his Striders vest Down Under, he’s set impressive club records of 14.57 for 5k and 31.08 for 10k - also a club record for the greatest distance from St Albans when achieved! Other age group records on the track were set by Pete Crowdell, Colin Braybrook, Bobby Riddaway, Nigel Aston, Graham Smith, Wendy Walsh and Eileen Sindole. Our flagship event the Fred Hughes 10 went seamlessly on a very cold, frosty January morning. 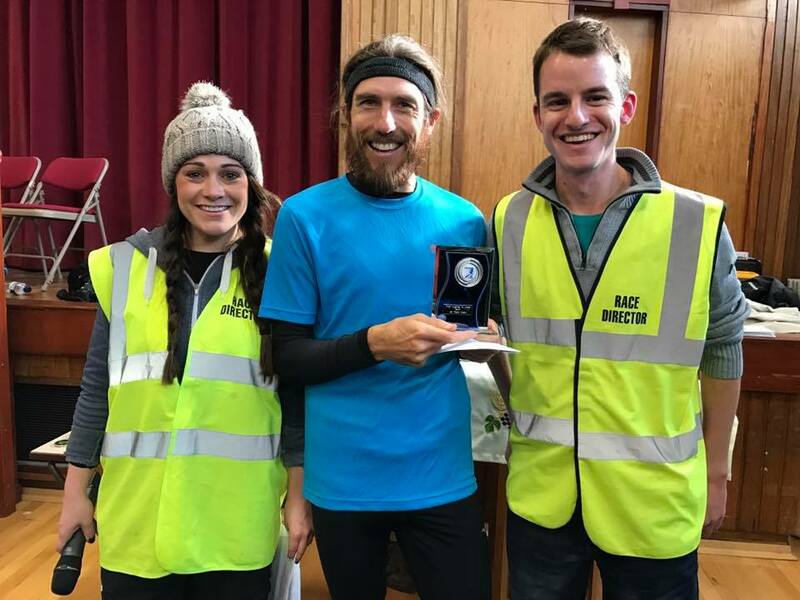 There were 930 people entered with 758 running on the day, and a course record was set of 50:50 by Paul Martelletti, an elite runner who has previously won the Greater Manchester and Yorkshire marathons. 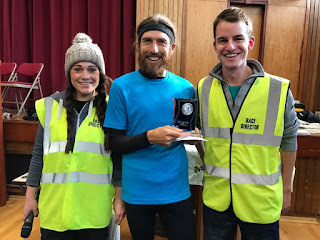 Paul was a delight to have at the race, and his victory was made all the more impressive by the fact he was the last person to arrive having been held up by late trains and was literally run to the start by our race organisers. 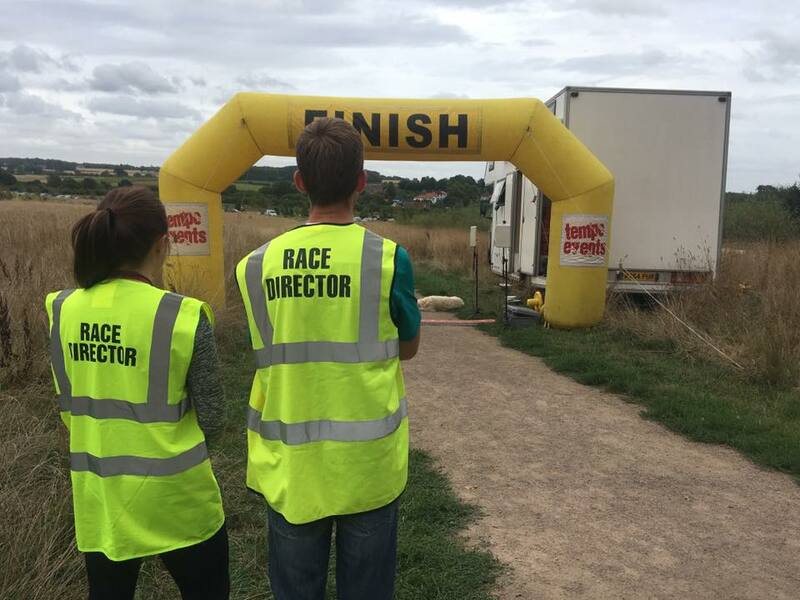 Congratulations to race directors Ben Scott and Amy Heap for a successful event. 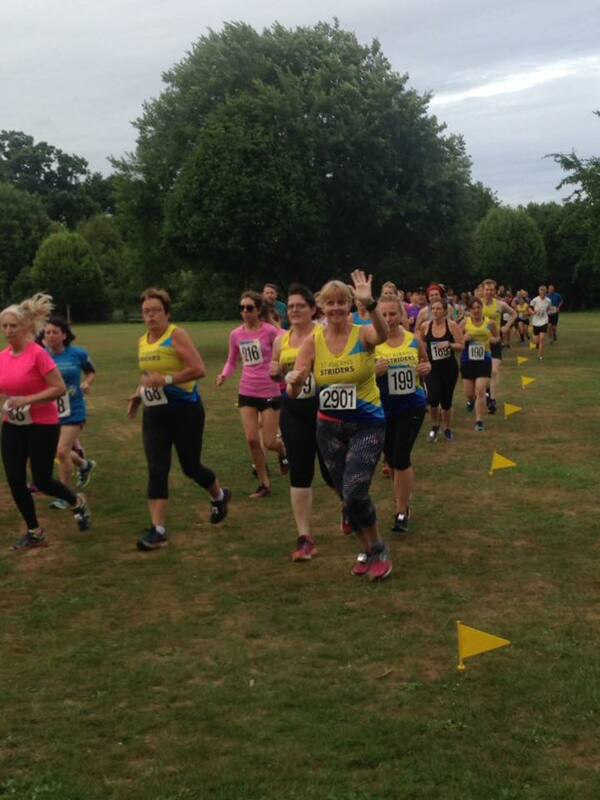 Our second Summer Solstice 10k had 285 finishers, compared to 178 in its first year. This race is really on the map now, providing a great combination of race and social event and really achieving its aim of appealing to all, not just serious club runners. Thanks to race directors Stuart Middleton and Steve Alexander. 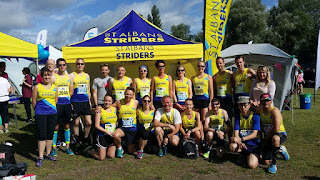 The third running of the St Albans Stampede was another huge success for the club, directed by Amy Heap and Ben Scott and supported by a small army of helpers from the club. Again, as with the Solstice 10k this was our biggest yet, with 269 entries, up from 186 in 2016. It’s no small feat to lay on a 12 hour endurance race, and the day went almost without a hitch, the only minor drama being that our first aid support were caught up in a road accident on the way there in the morning, so we had no first aid cover for a short period, but all runners were advised of this, given the opportunity to pull out, none did, and we soon had a replacement first aider who by the end of the night was even helping to dish out pizza to the runners! Feedback from runners was 100% positive, and a massive thanks goes to Ben and Amy who have now stepped down as Race Directors for the Stampede, but continue with Fred Hughes. They inherited this race as a fledgling event and now pass it on as a well loved fixture in the race calendar. Across all these races, thanks also to Peter Blackaller, Martin Halling, Adam Mellor, Andy Normile, and everyone who helped to make these races so successful. 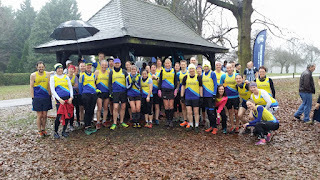 Our Run With Striders initiative has had a great year. 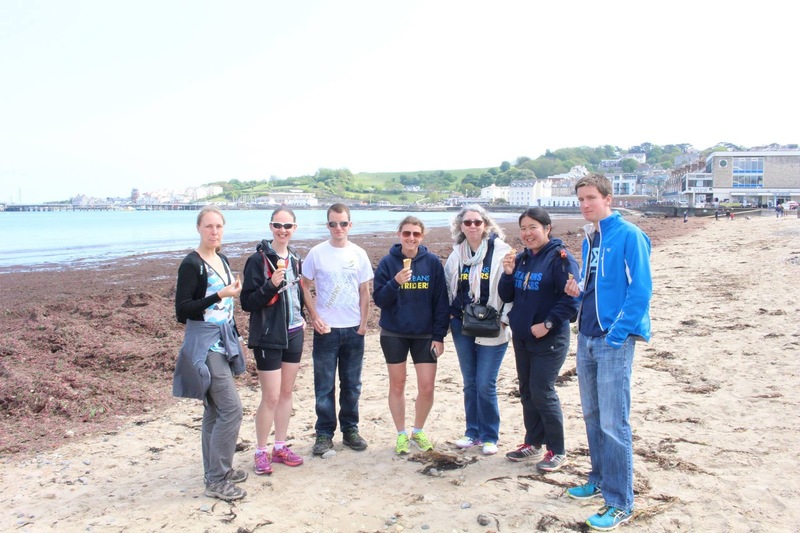 This years course saw 40 participants, of which 36 successfully completed the course, both of which are records. 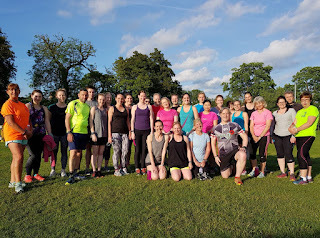 Since it started we've introduced over 200 people to the club through Run With Striders, on top of those who join independently. 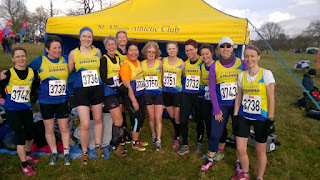 Many thanks to all the Striders who volunteered their support in some form, but specifically the Run With Striders Leaders, Andy Normile, Paul Cremins, Linda Green, Julie Curtis and Bernadette Newby. 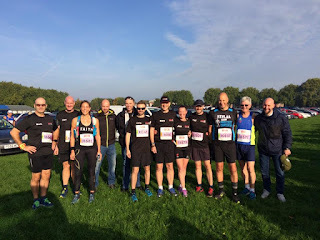 Andy and Paul said: "It was incredibly gratifying to see so many new runners enjoy and participate in our sport, numerous personal bests, and the individual rewards all the participants achieved from their hard work. 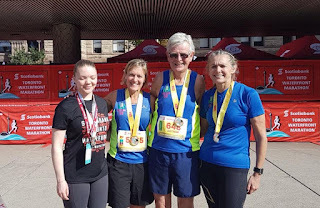 Too many accomplishments to list, but one that stands out is that two of our members in their first race as Striders (the Solstice 10k) were part of the winning women’s team. 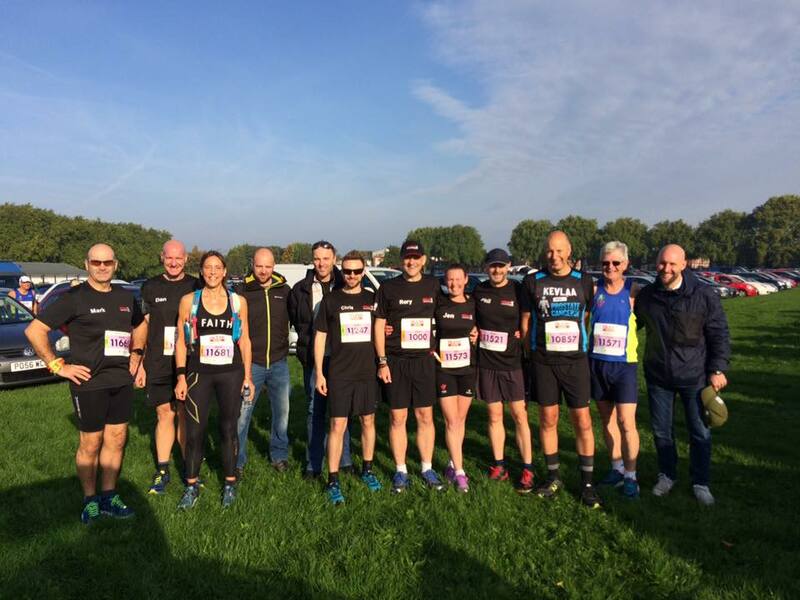 "Just as importantly, many of the 2017 group are still regular participants in Striders events, and hopefully will be for years to come." We set an unofficial world record at the start of the year at the Striders Starshot Marathon Relay. The idea was to beat the men’s marathon two hour barrier and for the women to beat Paula Radcliffe’s world record time, by a relay of 200 and 400m sprints. Both records were smashed, the men in 1:51:56 and the women in 2:14:39. It was a fantastic night and really brought the club together. This year’s Weekend Away was in Swanage, and 43 of us enjoyed a long weekend at Swanage youth hostel. The weekend was fully catered, with activities including parkrun, mountain biking, and a trip to the local waterpark as well as a group run along the Dorset coast on the Sunday. Thanks to Stuart for his superb organisation of the event which continues to grow in size and popularity giving us a chance to relax and socialise together as well as being the source of many a good story. Congratulations to Jack Brooks on winning the “Service to Sport” award at the St Albans & District Sports Awards this year, a well deserved achievement for all his selfless efforts over the years supporting other runners both within the club and beyond; Striders were awarded runners up in the Community Club category. Another fun-filled Annual Dinner was organised by Emma Halldearn at Aubrey Park Hotel. We ate, drank, danced and posed for a few silly pictures as well as celebrating our club’s achievements. In October, Ed Chaloner (treasurer), Lucy High (women's road captain), Emma Halldearn (social), Andy Auld (kit), Mike Jubb (coaching), Philippa Walton (catering), Laura Hussey (handicap) and Adam Mellor (special projects) all stepped down from their roles on the committee. A huge thank you to all of them for their hard work and dedication to the club. “For as long as I have been a member, Mike has been at the majority of the Tuesday evening sessions and has been the first point of contact for many newbies. He always encourages others, even when he's been unable to run himself due to injury, and has turned out to run Tuesday sessions on cold, wet and dark nights around his own work and family commitments. 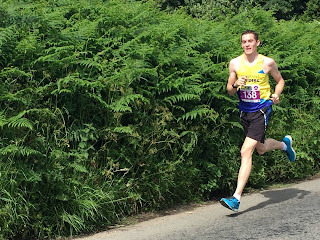 "Performance wise, back in the noughties he was representing Striders at a high level and his cross country club records from 2003 will take some beating - 12th in the Southern and 14th in the National." This was a new marathon near Bromley comprised of six laps of just under 7k followed by a shorter final loop. Each lap contained a very long descent of around 2k followed by a long ascent of about the same distance. There was enough variation in the surroundings to ensure that repeating the route each time wasn't boring. My time was 4:45:37. I ran this race last year so I should have known the route, but I still managed to lose time by taking one wrong turning because I wasn't following the route description instructions closely enough. 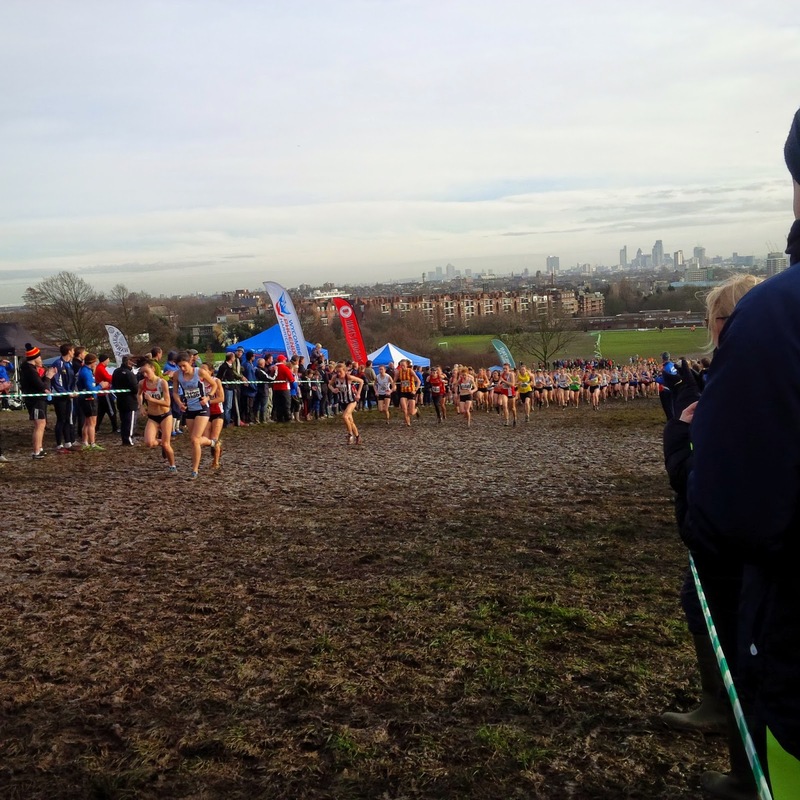 After some miserable weather earlier in the week I'd anticipated that the course could be muddy in places, but fortunately it wasn't. I finished in 5:37:50. This was the 4th time I'd run this local four lap marathon, which is held in memory of Leila Taylor (a former Garden City Runner who was a good friend of mine). The atmosphere is always relaxed and there are usually plenty of Striders running one, two, three or all four laps. 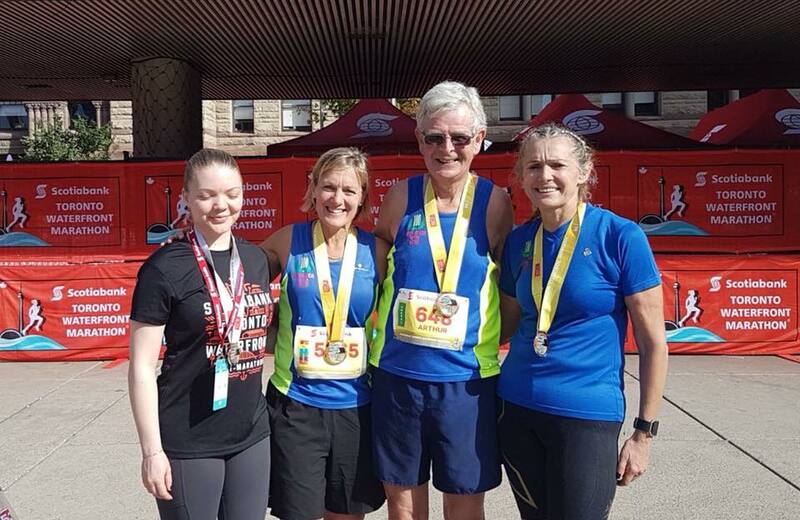 I ran the first three laps with Lucy Stern and Mandy Attree and then ran much of the final lap with Apryl Hamnett and Beth Taylor-Jones from the 100 Marathon Club. The weather was kind to us and there can't be many more pleasant footpaths to run on than those around Heartwood Forest. I thoroughly enjoyed myself. 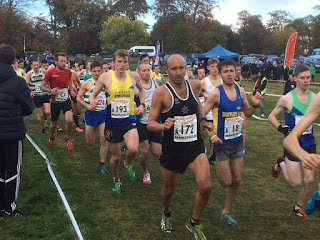 This two lap race started in the beautiful grounds of Woldingham School and it seemed the only flat parts of the course were the roads leading to and from the school. There were some truly brutal hills on the route and each of these had to be negotiated twice. This was very much in my mind as I set off on the second lap. 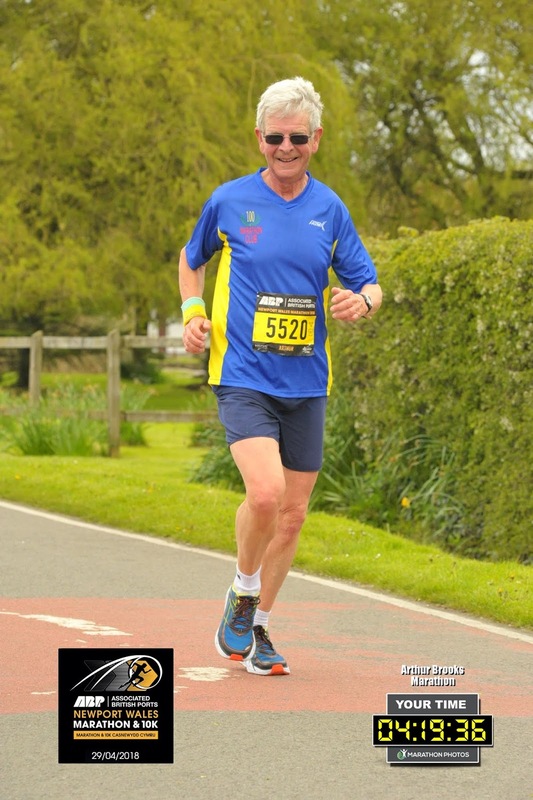 Mark Travers from Striders was also running the marathon. He finished well ahead of me, but was good enough to wait until I finally staggered across the finish line in 6:16:26. I was injured for the first Stampede and away for the second so I was determined to compete this year. I managed just under 40 miles and thoroughly enjoyed the event. It is great to see how good the club is at staging events such as this. Lucy and Mandy from the club ran the inaugural event in 2016 and told me what a great event it was. I can only agree with what they said. This point to point race is nearly all off road and basically follows the River Great Ouse from Earith to Eynesbury. The course was well marked and marshalled and there were snacks and drinks available almost every three miles. I was third in the 60/69 age group finishing in 4:52:40. After two days of fairly heavy rain the footpaths were slightly slippery in places and when I run the event next year I'll consider taking trail shoes with me. The route was really beautiful and I lost count of the number of swans I saw that day. In addition I always enjoy seeing the statue of Oliver Cromwell in St Ives. I thoroughly recommend this race. I have known Rory Coleman for most of my running life so when he announced that he would be running his 1,000th marathon in Nottingham I felt obliged to join him. Rory has had an amazing life during which he has completed Marathon des Sables 14 times and as a personal trainer coached many famous characters such as Ranulph Fiennes. In 2016 Rory contracted Guillain-Barre Syndrome, a crippling disease, which left him wheelchair bound and physically debilitated. The prognosis was not good, but by sheer force of character Rory has fought his way back to fitness. He warned me beforehand that this marathon would be more of a shuffle than a run, but we still made it round in 5:17:46 finishing to a great reception from his friends and family. It was a wonderful day. This was the first running of the marathon and I was intrigued enough to enter. 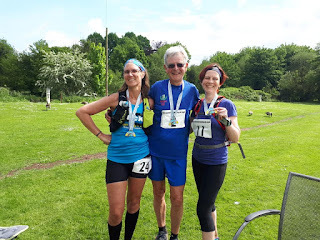 The race registration and finish are in Alexandra Gardens and nearby parking (£9) was expensive, but the route out from Windsor to Maidenhead beside the Thames and the route back alongside the Jubilee River were both spectacular so it was no hardship to run two laps. The weather was kind to us and there was no wind and virtually no mud along the course. Even after heavy rain I suspect that it would not be necessary to run in trail shoes. I finished in 4:25:01 and whilst I'd had a reasonable run I believe that the full distance was nearer 25 miles than 26.2 miles. 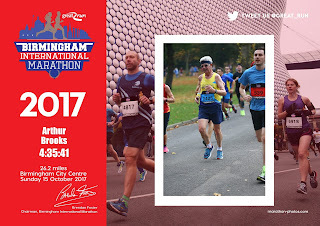 The plus factor for the inaugural Birmingham Marathon was that there were several out and back sections and I was able to spot and call out to numerous people who I know. The downside was that they appeared to have included every hill in the city when devising the route. I started off keeping the 4:15 pace group some way ahead. Roger Attard joined me fairly early on and we ran together for a few miles. However, he seemed to be more comfortable than me and I told him to go on as he was feeling good. By around 10 miles the frequent uphill sections started to take their toll on my legs and my pace gradually slowed. I'd been running a large part of the final miles with good friends (brother and sister) Fu-Lok Cheung and Yin-Hai Cheung. Just after 25 miles Fu turned to me and said "please make this stop Jack!" That is pretty much how I felt, especially as a large section of the last mile was uphill. I finished in 4:35:41 and breathed a sigh of relief. I flew out to Toronto on my own, but met up by chance with people I knew on the first day there, so I had no problem with the social side of things. 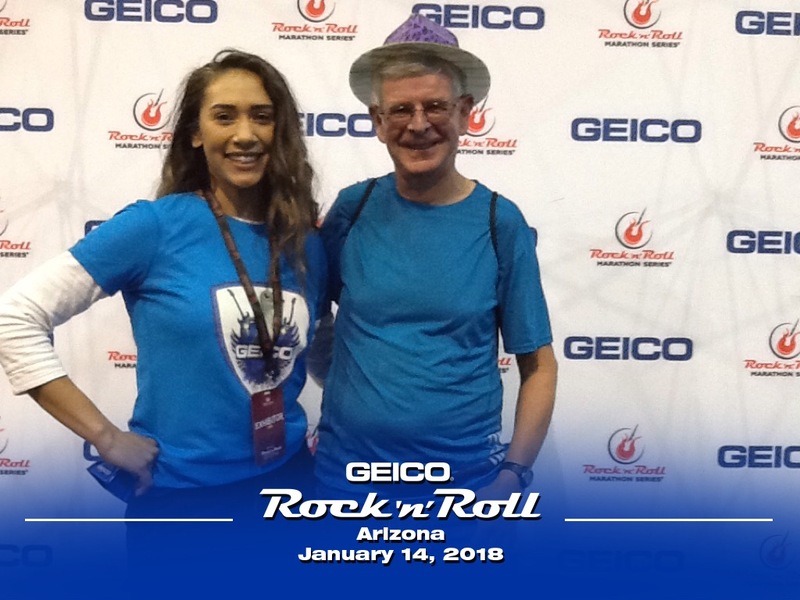 The weather for the race was unseasonably warm and this made for quite tough running conditions even though the course was relatively flat. The route itself comprised mostly very long straight out and back sections with little variety. I didn't find the course particularly scenic, but the race was well organised and the police took an active part in encouraging all runners, which was a welcome change. My time was 4:31:50. Now I just need to run a marathon in Nunavut in order to complete one in all 13 Canadian provinces and territories as well as one in all 50 US States plus DC. That should be in July 2018. It always amazes me that the LDWA can stage trail events for what they charge. The entry fee for this marathon for LDWA members was £8 (£10 for non-members) and for that three checkpoints are provided around the route, all of which are stocked with copious amounts of food and soft drinks. Also at the finish everybody is provided with a hot meal and a finisher's certificate. I travelled down to Maldon on my own, but bumped into Rob Hardy from Fairlands Valley and Bob Parmenter from Stoke when I got there and the three of us decided to form a "pensioners' posse" and go round together. All was going well until around 19 miles, when an old injury started troubling Rob. We'd started together and decided that we'd finish together. Anyway, I hadn't seen either of them for about four months and it was good to have a chance to catch up.